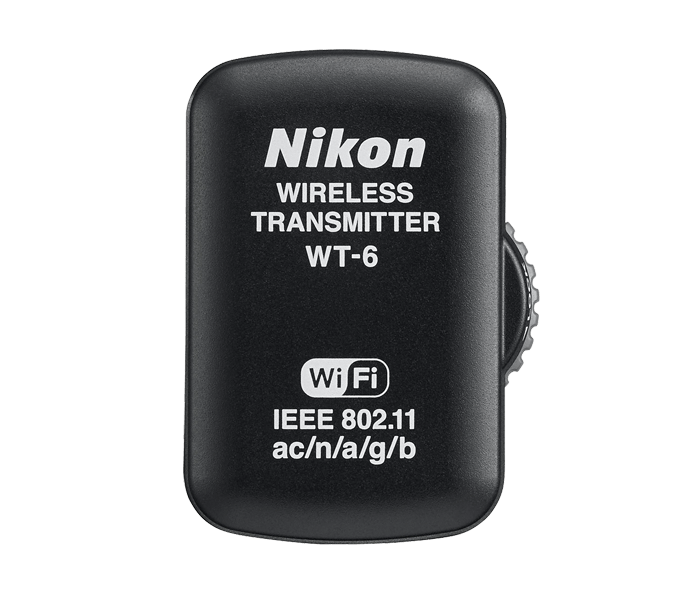 The WT-6A Wireless Transmitter is designed to transfer or view files and take control of the D5 camera functions using Wi-Fi® technology. The D5 supports FTP and HTTP modes to transfer images or videos using an existing Wireless LAN network or directly to a computer or smart device. For maximum D5 control, optional Camera Control Pro 2 software can be purchased. When transmitting image data wirelessly using the WT-6A, the D5 has a blazing fast 130 Mbps speed. Faster communication means no more bottleneck of data transfer. The WT-6A supports the IEEE802.11ac standard for faster transmission speeds; with a distance of 656 ft. (200m). The WT-6A also supports IEEE802.11a/b/g/n.